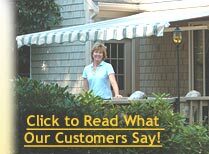 Looking for a beautiful custom awning installation for your home or business? Don’t settle for an inferior product. Sunesta is the only retractable awnings manufacturer in the USA to pass the Miami-Dade building code compliance for high-wind resistance and durability. Click here to see acceptance certification. 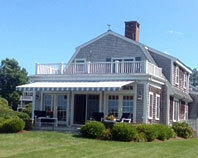 We are the ONLY authorized Sunesta dealer in Cape Cod and the south shore and offer the complete line of premium Sunesta shade products including retractable awnings, retractable screens, motorized pergola covers, free-standing awnings for pool decks and large patios to awning heaters and lighting solutions. Find more information about Sunesta shade products at www.sunesta.com. Need a large awning? Sunesta makes retractable awnings with widths up to 40′ and projects of almost 15′- great for larger decks, big coverage areas and commercial applications. Sunesta offers top-quality retractable awnings for most any application. Most Sunesta awnings carry a 10-15 year limited warranty. Searching for exactly the right color awning for your home? Sunesta offers hundreds of wonderful fabric color choices from the top-quality manufacturers available like Sunbrella ® and Sattler. 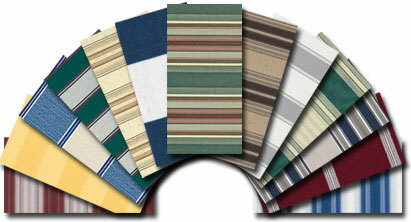 We can help you find just the right Sunesta model and fabric color for you. Just give us a call at 866-225-5776. 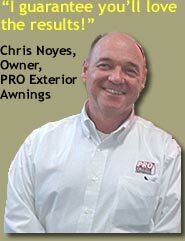 We’ll handle it all- sales, installation, preventative maintenance, whatever you need. Click here now to see what our Sunesta Customers say. Looking for a special shade product, like a retractable pergola cover? Click here. In addition to awnings, Sunesta has many types of shade products, retractable covers, window awnings, and more.